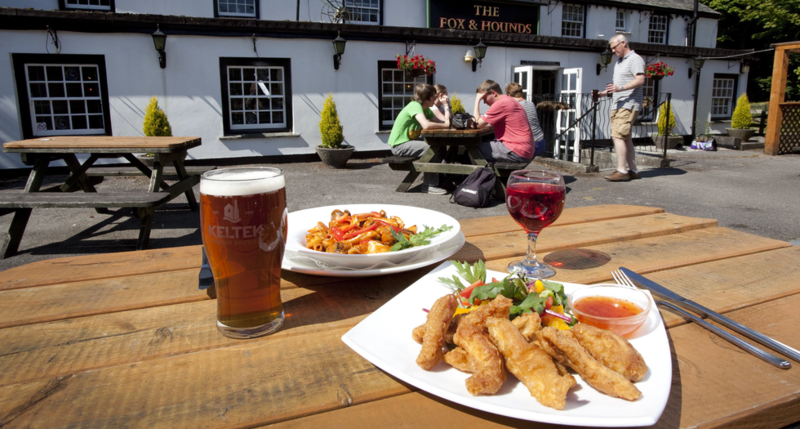 All the food on offer at The Fox & Hounds is home cooked to order. When it’s available we take delivery of fresh local fish and examples of recent catches include beautiful fresh Megrim Sole (a house favourite at the Fox & Hounds), fresh haddock we hand make into goujons and locally caught codling. On Sundays preparation of our home cooked Sunday roasts starts at about 7 30am. There’s no susbtitute for time when it comes to great roasties! !